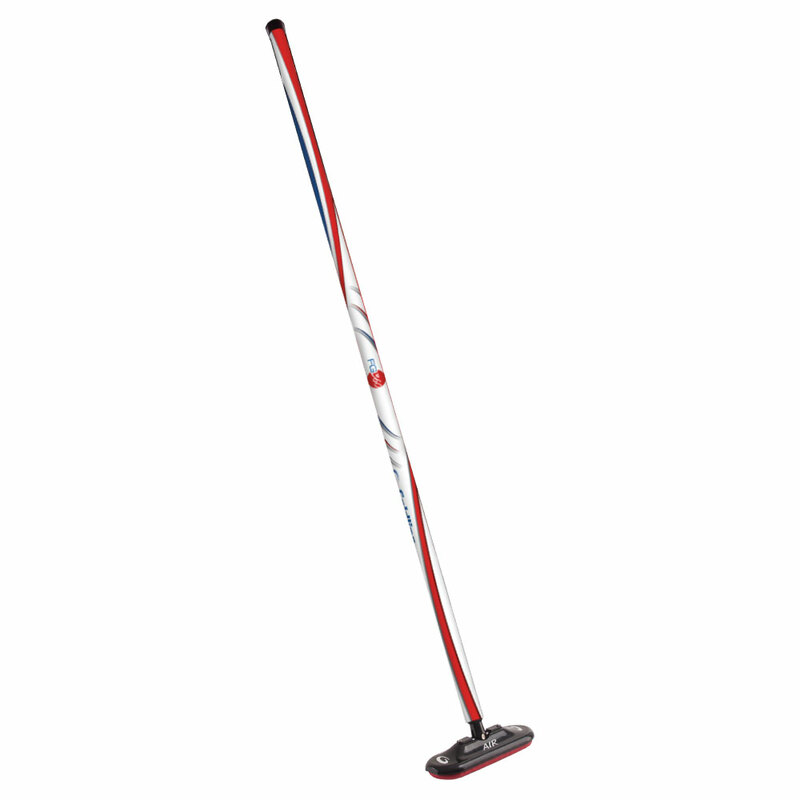 FG Air curling broom have a Fiberglass handle, our most affordable option. Equipped with a stationary version of our innovative Air Head 2.0, Fiberglass brooms are no longer heavy and represent a great option for a low cost broom. The Air Head features a spring lock system for quick head replacement, and a snap system that facilitates quick and easy pad replacement. 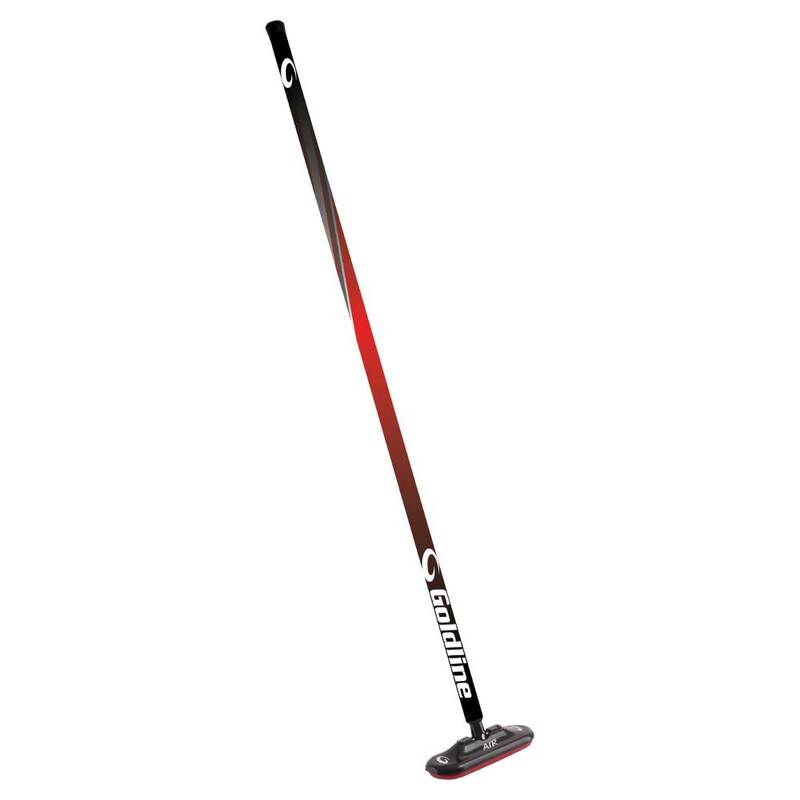 Goldline's all new FG Air curling brooms are simply the most innovative and effective sweeping tool available for people looking for a low-cost curling broom with a stationary head. These brooms are perfect for low-cost club brooms, beginners or anyone who likes the stability of a head with no rotation. In terms of weight, the fiberglass handle is heavier than our Fiberlite composite or Carbon Fiber models, however the all new Air Head 2.0 helps to reduce overall broom weight. As a result, even though fiberglass handles are heaviest option we currently offer, with the switch to the all new Air Head the FG Air Brooms are lighter than more expensive composite curling brooms with traditional oval heads. The biggest factor that impacts curling broom pricing is the material used for the handle. Fiberglass is the least expensive, but heaviest option currently available. Composite handles are the mid-range option that strike a balance between weight and price, and 100% Carbon Fiber handles are the top-of-the-line alternative. The Stationary Air Head features two all new innovations: a spring lock system for quick head replacement, and a snap system that facilitates quick and easy pad replacement. Each FG Air comes equipped with a stationary version of the Air 2.0 head and Airway pad. The Airway pad is the evolution of the renowned Norway Pad. These pads offer optimal dependability and effectiveness for the recreational curler. NOTE: Due to the sationary nature of the FG head, this broom design is not approved for use in WCF sanctioned events or events/leagues that require WCF approved products.